When we arrived on the island of Zanzibar after driving across Africa for four months we set out to find the best hotels in Zanzibar. After all, the hotels and resorts of Zanzibar are designed for decompression after a long safari in Tanzania. It’s the perfect place to trade in your safari attire and binoculars for a bathing suit and coconut water. The island’s coastline is fringed by white sand beaches and the turquoise waters of a tropical Indian Ocean. Zanzibar is the perfect place to sit on the beach, drink some coconuts, and forget. However, there is depth to the sunny island, a history that dates back centuries and involves slaves, sultans, spices, war, and culture. Determining the best hotels on the island was an easy feat. 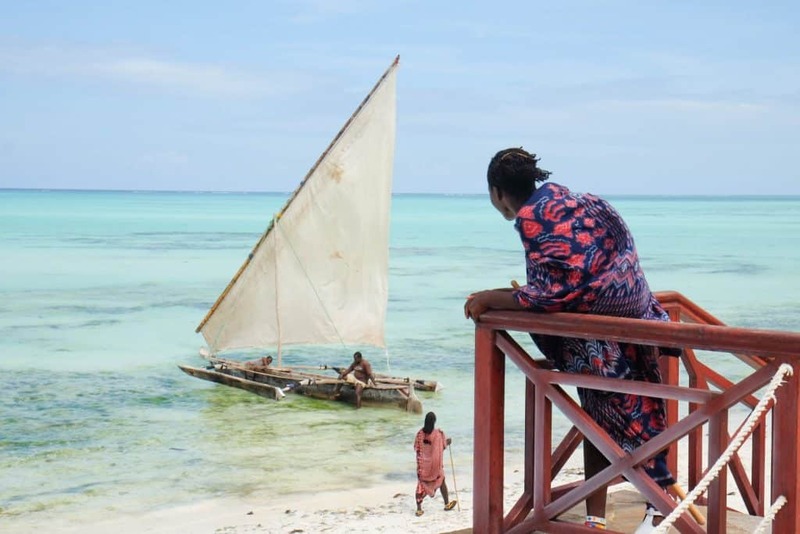 The best hotels in Zanzibar are The Residence Zanzibar, Park Hyatt Zanzibar, Emerson Spice, Kilindi Zanzibar, Essque Zalu, and Tulia Beach Resort. 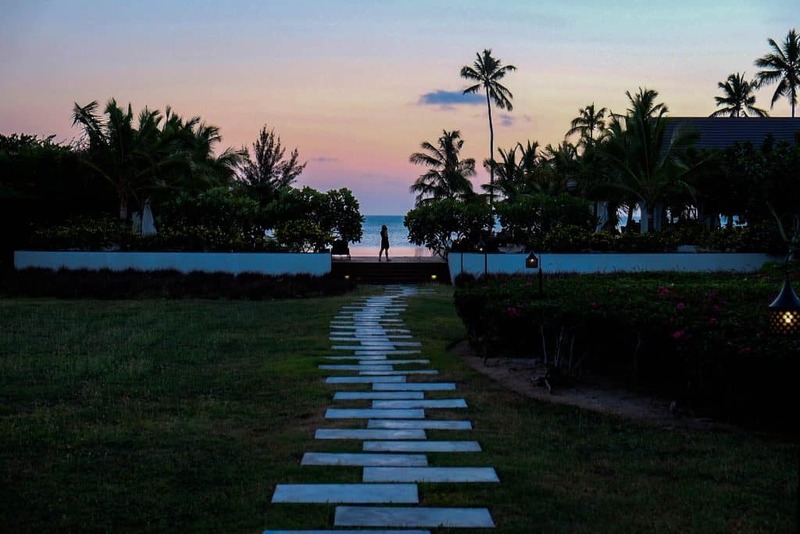 Guests don’t get a room at The Residence Zanzibar – instead they get a large villa steps away from the beach. Yes, this place is one of the best beach resorts in Zanzibar. 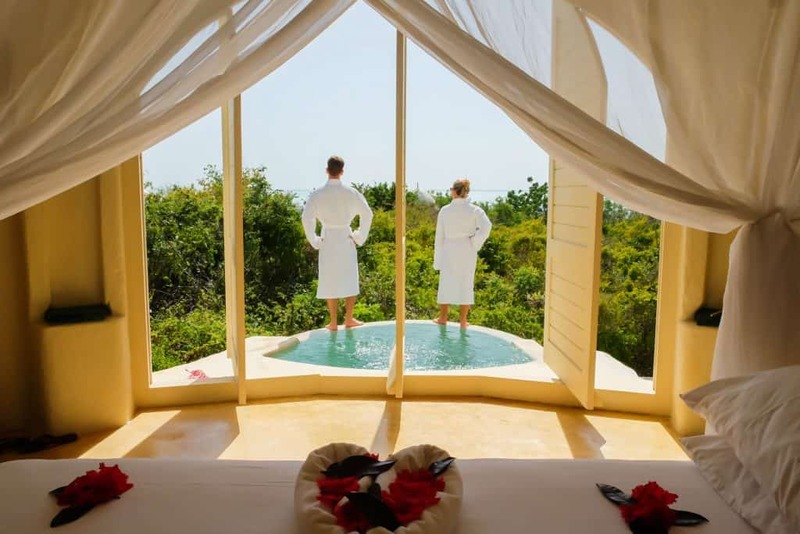 Here each villa comes with a spacious bathroom with an indoor and outdoor shower, bathtub, and his and hers sinks. The bedroom in the villa features a king-sized four poster bed that faces sliding glass doors that reveal a private patio. The highlight of the room lies on the patio, each villa comes with a beautiful glass tiled private pool. The pools at The Residence Zanzibar truly sparkle. We found it difficult to depart from our villa; however, the centerpiece of the property has to be the main pool and restaurant. It was by all accounts the best pool we found on the island. The sparkling water of the massive infinity pool comes to a dramatic end with glass walls providing light and views out to the private beach. This is where we passed our time – poolside with a good book and waiting for a singing attendant to deliver us ice cream every day. The private beach near Kizimkazi is one of the most secluded on the island and one of best beaches on Zanzibar. The white sand beaches here are perfect for those wanting a private beach escape. We started to feel a little too relaxed, so we took to the water with the resorts paddle boards and some snorkel gear. We found plenty of activities on the resort to keep ourselves entertained between birding, biking, swimming, water sports, and billiards. The whole feel of the hotel keeps in touch with the island. The main reception is a large open building with ottoman style archways and the scent of spices floating through the air. The restaurant serves up a mix of contemporary food and draws inspiration from the island’s history of spice. The Residence has a clear spot on the list of best hotels in Zanzibar. The Residence Zanzibar Highlights for us: The crystal clear pools, modern room and amenities, fast WiFi. 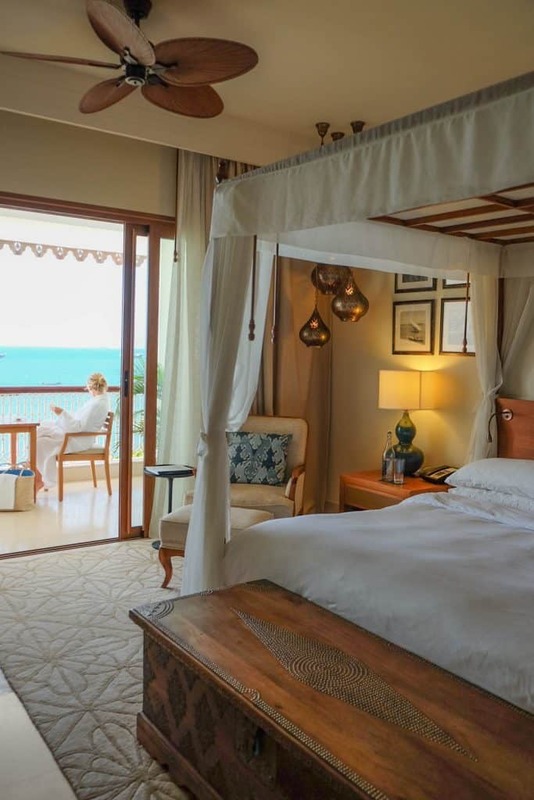 The Park Hyatt Zanzibar is an exquisite hotel delivered in a way only capable of a Park Hyatt and is easily one of the top 10 hotels in Zanzibar. The hotel finds a perfect balance between the brands signature look and the former palace that the main building now occupies. 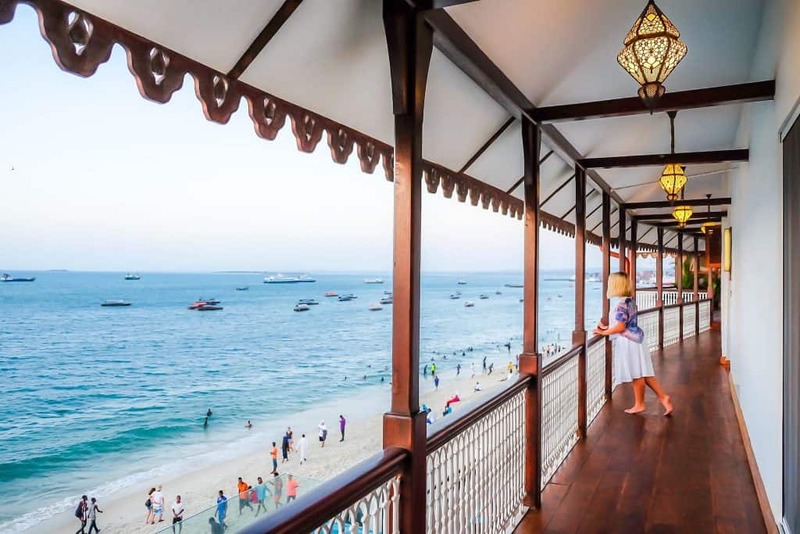 The interiors of the hotel embody the atmosphere of Stone Town with features such as intricate chandeliers, archways, lanterns, trellises, carved wood, and crown molding. The beds are heavenly, the robes are fresh, and a TV is literally built over the bathtub. The room’s private balconies are a splendid way to soak up afternoons sipping on espresso from the in-room Nespresso machine. The rooms at the Park Hyatt are the most comfortable on Zanzibar. Despite our views of everyday beach life from our room, we made good use out of the pool, gym, and hotel library. 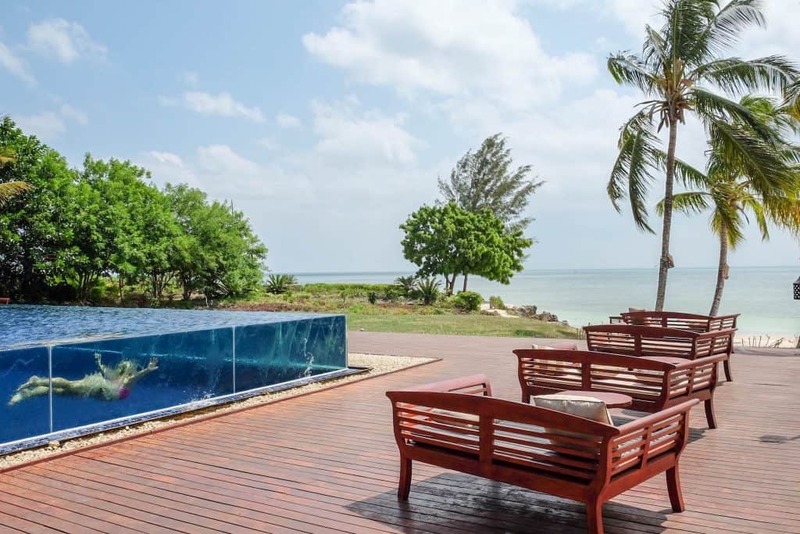 The hotel pool is the perfect place to spend the day watching the lively Stone Town beach. When the evening time rolls around we have to recommend their happy hour where we picked up two bourbon cocktails at half price and made our American-selves happy. If you tire of the hotel grounds the property is located in the center of Stone Town. Some of our favorite days were spent wandering the streets of Stone Town that has all the charms of Arabic medinas, but none of the hassle. The Park Hyatt Highlights for us: Park Hyatt brand, balcony, fitness center, beautiful room, fast WiFi, comfort, and location. 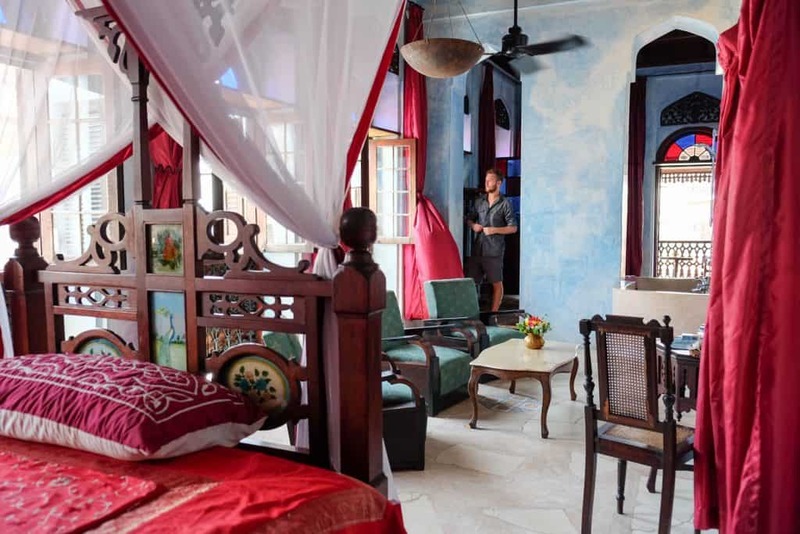 Emerson Spice is a restored Merchant’s House turned boutique hotel in Zanzibar that is in the center of Stone Town. 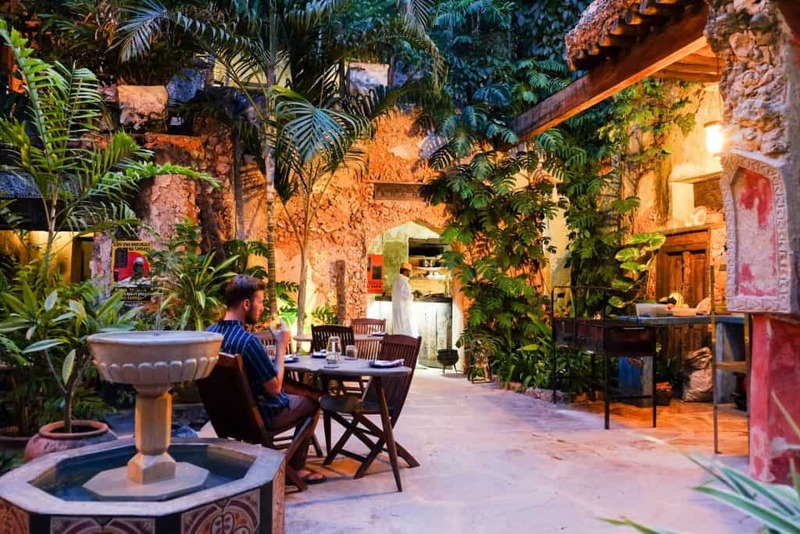 In my opinion, it is the most unique and best hotel in Stone Town. The hotel has eleven rooms that are all individually decorated and named accordingly. Our room was Semele, a room too beautiful for her own good covered with pastel blue walls, stained windows, and ceiling to floor burgundy curtains. The rooms are filled with antique furniture and rich textures. Small touches like locally produced soaps and towels, antique books and even air con are featured in each room. Passion has been poured into the Emerson Spice and it is obvious. We felt as if we’d cast away in the days of old. Time slowed down and we soaked up the atmosphere of the buzzing Stone Town streets from our private balcony. Food at the Emerson Spice is a special occasion. We dined in the newest addition to the Emerson Spice, their Secret Garden restaurant. The restaurant is hidden away in ruins neighboring Emerson Spice. Diners revel in the open air restaurant while the head chef prepares the majority of meals in a blaze of smoke on a charcoal grill. We couldn’t resist and went with their seafood platter a mix of fresh lobster, prawns, and barracuda – delicious. Emerson Spice Highlights for us: The abundance of charm and character, Secret Garden restaurant, and excellent location. Located a five-minute walk away from the Emerson Spice is her sister hotel, the Emerson on Hurumzi. The building was built in the 1870’a by Sir Tharia Topna, a powerful merchant in Zanzibar. Just like the Emerson Spice entering the hotel is akin to being transported back in time. There was no end to Stone Town when we entered our room as the city drifts in through trellised walls from the balcony. Our room, North, features a roof top shower and bathtub that provided views of the cityscape. The beautiful antiques feel right at home in the room. Dinner on the Rooftop Tea House was our most memorable in Zanzibar and should be experienced by all who visit Stone Town. Diners sit atop cushions and large Persian rugs on the hotel’s roof while a velvet roof dances in the wind. Evening cocktails begin at 18:00 and dinner is served at 19:00, make sure to book a spot in advance as the demand is high. The restaurant serves a blend Persian and Omani food in a tasting menu every night. If you’re lucky you can visit on an evening with live entertainment from one of the many talented bands in Zanzibar. When morning rolled around we enjoyed a healthy and light breakfast on our rooms private balcony. The Emerson on Hurumzi and the Emerson Spice embody everything Zanzibar and when you lay your head down at night you don’t leave the island you remain in its heart. Emerson on Hurumzi Highlights for us: Rooftop Tea House dinner and entertainment, large and comfortable bathtubs, breakfast on the patio overlooking Stone Town. Wanna see more of Stone Town? 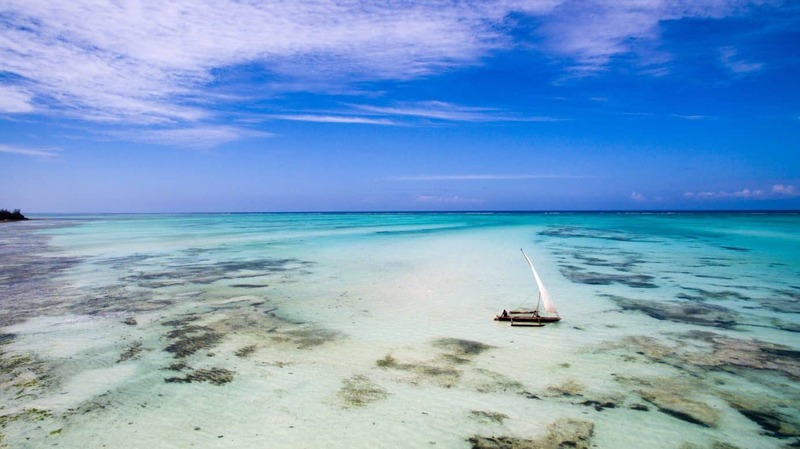 Pongwe is in running for not only the best beach on Zanzibar but one of the best in the world. Taking in this secluded white sand beach can be done with the Tulia Zanzibar Unique Beach Resort, a quiet all inclusive hotel in Zanzibar. 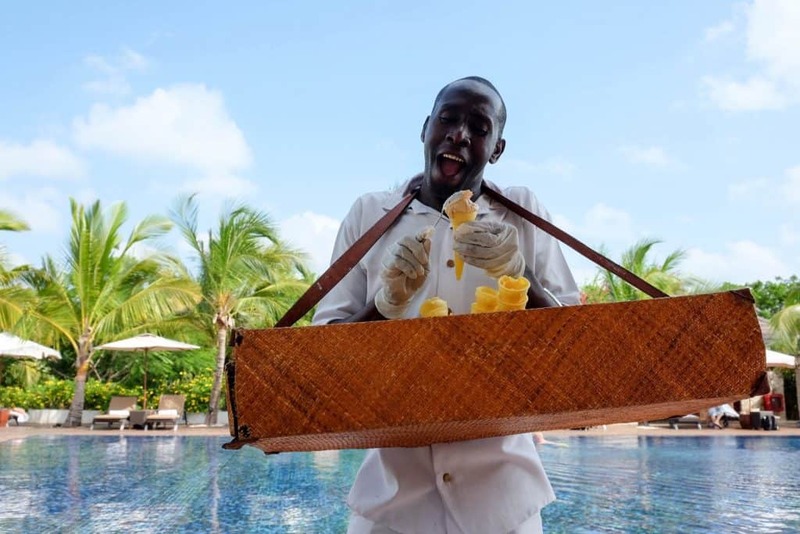 In Swahili, Tulia means to relax and that is exactly how the intimate resort is designed. The 15 villas are spread across a lush garden and central pool bar. Guests are greeted by a friendly staff and whisked away to rooms waiting with a bottle of wine, greeting card, and a bed of flowers. The rooms here are spacious, comfortable and modern. The large king bed sits on a platform and provides views out of the room to the garden or sea. The best part? Tulia advertises the fastest WiFi on the island. As travel bloggers, we can attest and confirm that the WiFi at Tulia was indeed the fastest, we have the stats! Tulia is a Zanzibar hotel that is all inclusive with inspiring food and cocktails included in the price. We spent the morning on the stand-up paddle boards and kayaks. While our afternoons were spent sipping pina colodas around the unique hotel pool. Which, is also home to one of the only waterslides on the island. We could not resist acting like a pair of kids again and went for races down the slide. Breakfast, lunch, and dinner at Tulia Zanzibar Unique Beach Resort have local and international chefs cooking up some delicious food from an ever-changing menu. After dinner, the pool bar is the perfect place to relax with a nightcap while staring at the Zanzibar night sky. Tulia hit all the marks for us and had the perfect blend of fun, relaxation, and intimacy. 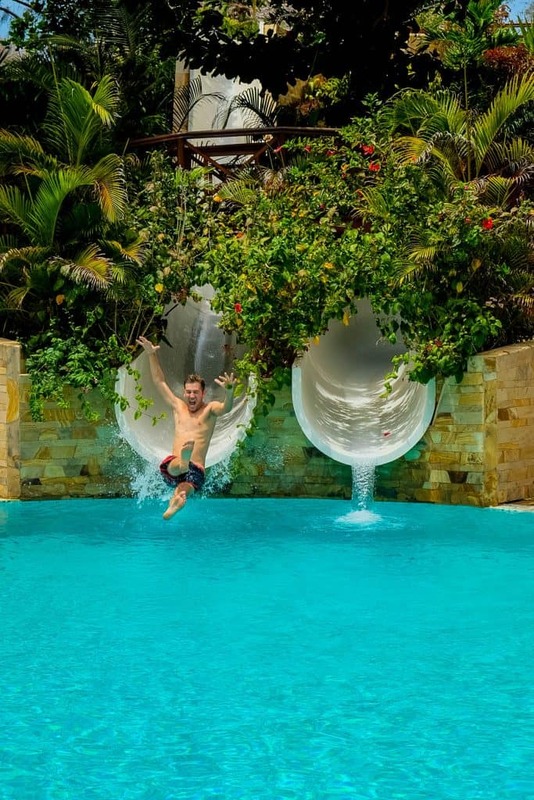 Tulia Beach Resort Highlights for us: Intimate feeling with attentive staff, fast WiFi, beautiful pool and beach, and of course the waterslides! 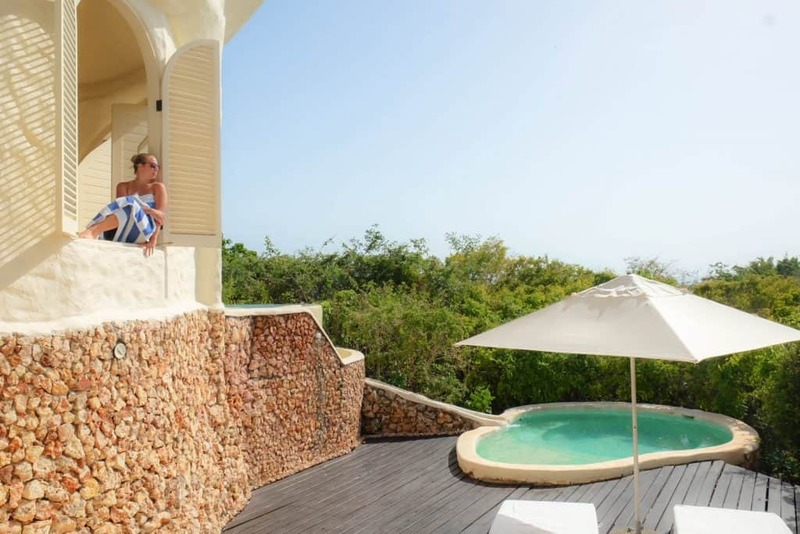 The most exclusive of all the resorts on Zanzibar is without a doubt Kilindi Zanzibar. 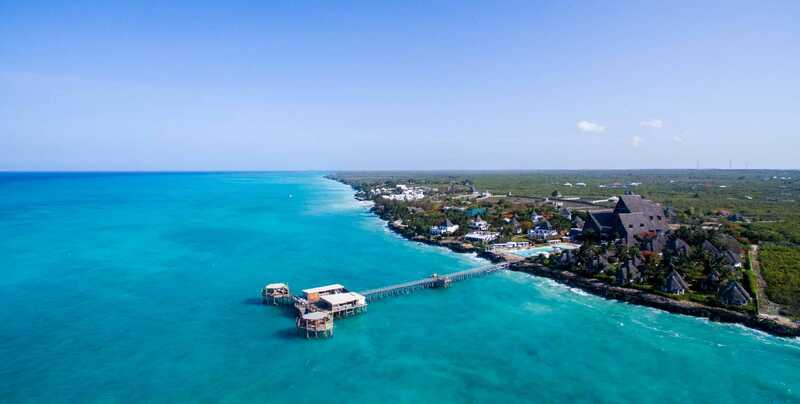 The resort is near Kendwa on the Northwestern part of the island and is one of the top Zanzibar hotels on the beach. Its large grounds give plenty of privacy to its 15 villas that pop up from a lush hillside. The white-washed domed villas feel like a sultan’s palace that should only be fit for a king or a pop celebrity. In fact, the resort was formerly the private residence of ABBA band member, Benny Andersson. It’s definitely the best hotel in Zanzibar for honeymoon vacations. Privacy is key at Kilindi and each villa has two private plunge pools, an open rainfall shower, and personal lounge area. The villas feel right at home on the island and are decorated with very few details. Guests will instead find small touches like seashells, a book, or a few pieces of furniture. Each room comes with a valet to deliver meals, plan activities, collect laundry, and assist with whatever the guest may need while staying at the resort. 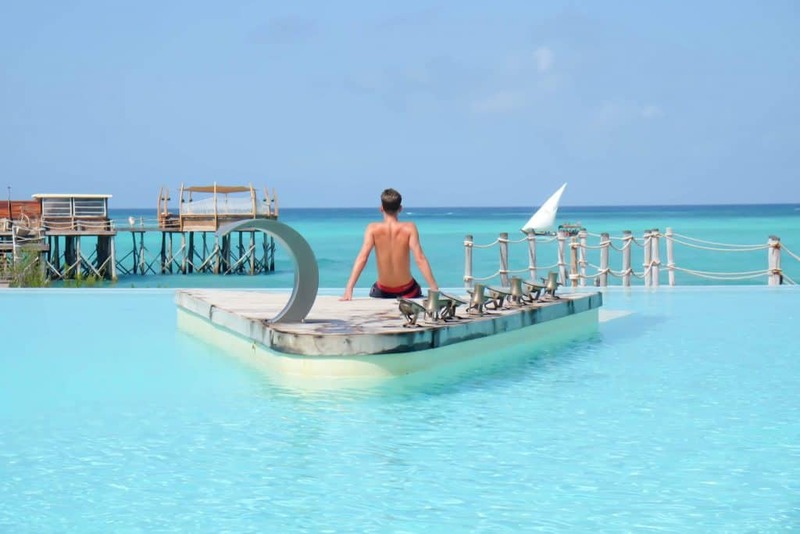 The infinity pool at Kilindi Zanzibar overlooks the most beautiful bay in Zanzibar, filled with dhows and turquoise water. Guests at Kilindi are given complete freedom. Every breakfast, lunch, and dinner can be served at any time and anywhere. The food at Kilindi is superb and every course is cooked from the freshest ingredients, as the chef opts to grow and buy local. It is easily the best food on the island, but there is nothing pretentious about the atmosphere in which it is served. 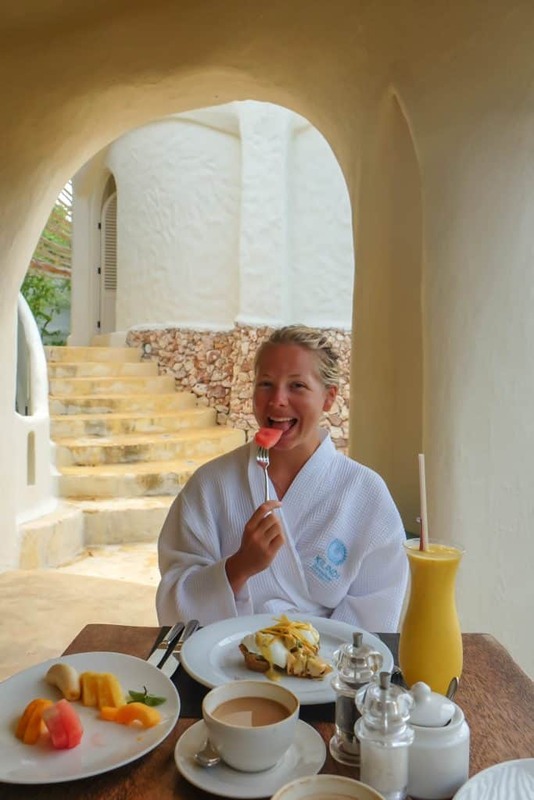 We opted to always have breakfast from the comfort of our private lounge area, while lunch was spent around the pool, and dinner was spent in some of Kilindi’s secret hideaway spots. It may have taken some convincing for us to get dragged away from Kilindi. 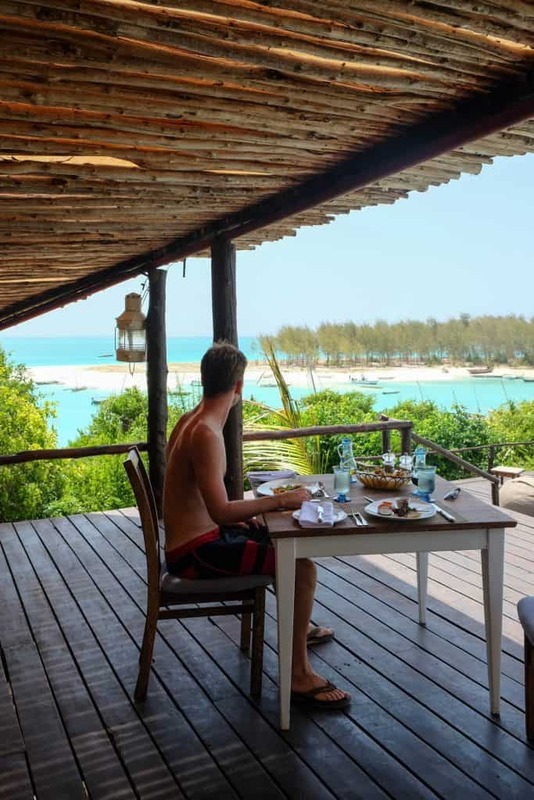 Kilindi may take the top accolade for the best hotels in Zanzibar, but it does come with the highest price tag on this list. See our full Kilindi review here. 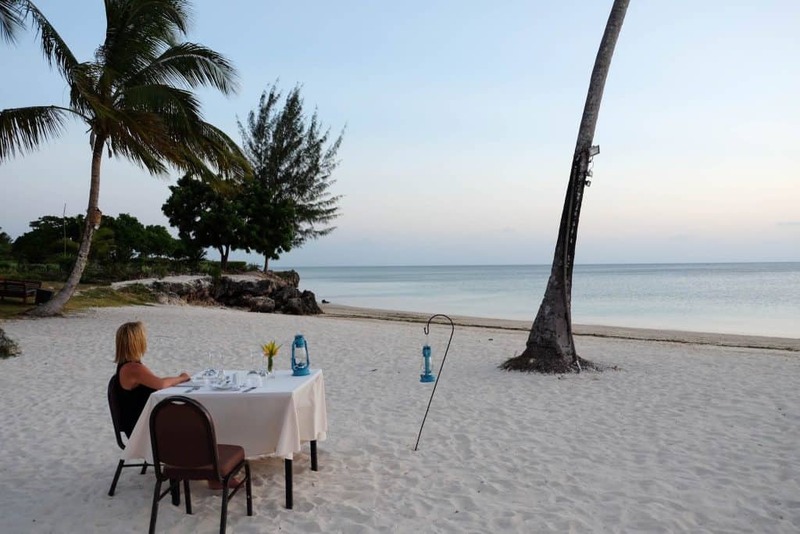 Kilindi Zanzibar highlights for us: Privacy of villas, stunning and secluded beach, and the best food on the island. 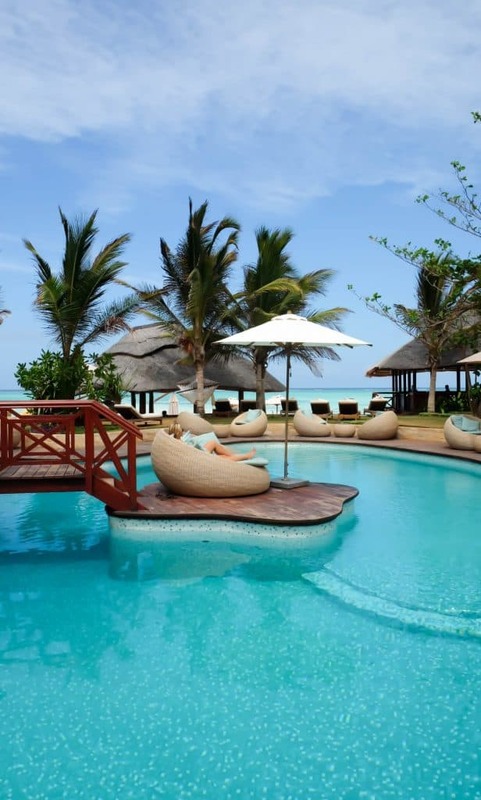 Essque Zalu is one of the best beach resorts in Zanzibar. 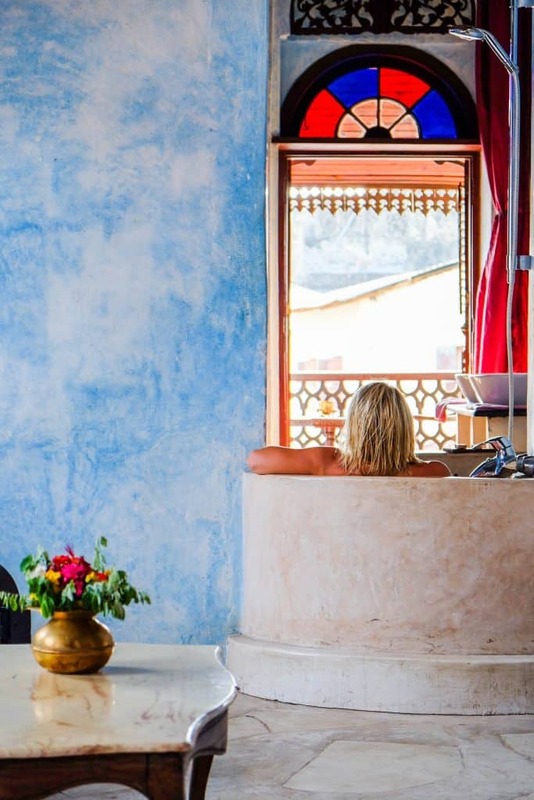 This Zanzibar hotel is not for the faint of heart, at Essque Zalu bigger is better. 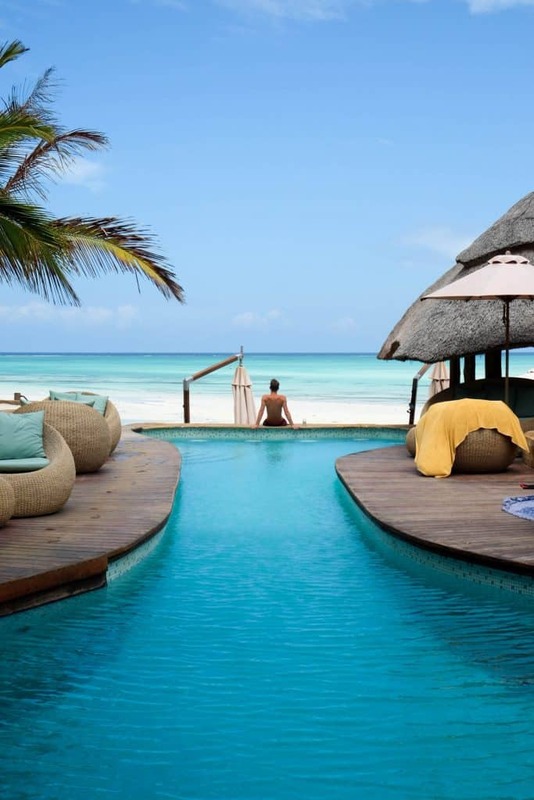 It is one of the largest resorts on Zanzibar, but the intimacy of Zanzibar has not been lost. Essque Zalu Zanzibar sits at the Northern end of Zanzibar, close by to Nungwi Beach. The rooms are comfortable with large beds, patios, walk in closets, lounges, rainfall showers, and a desk. We spent some time reading a book from our patio in the beautiful gardens of the resort. 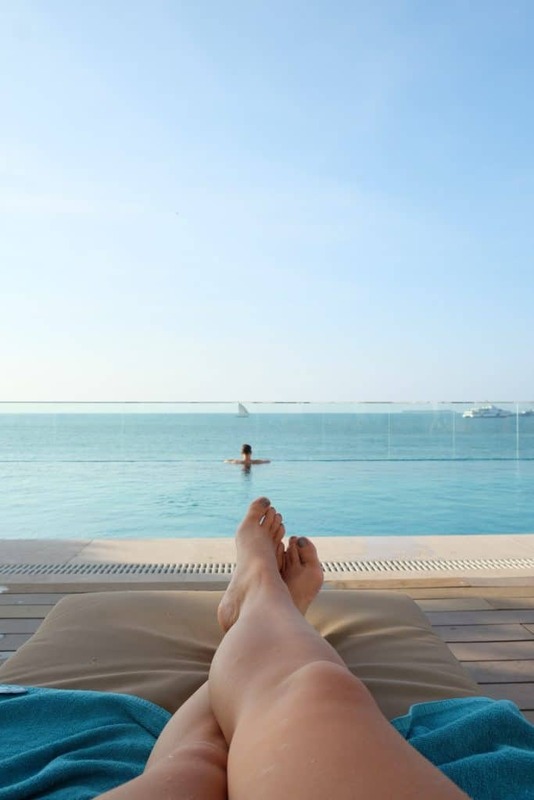 Guests can spend their days soaking up the sun by the massive pool at Essque Zalu Zanzibar. The location of the hotel on top of a small cliff may not present it access to the beach; however, what Essque Zalu lacks in beach it makes up for with a beautiful jetty. 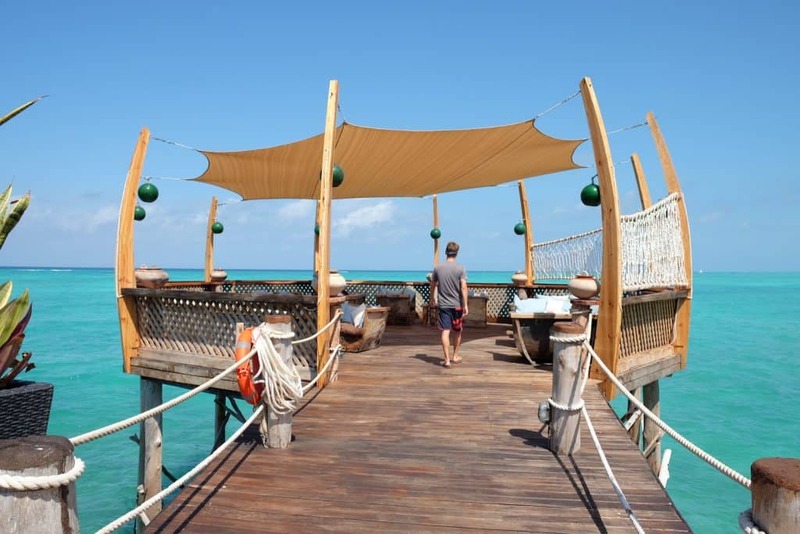 Yes, the longest jetty on Zanzibar resides here and is the perfect place to come and relax anytime of the day. It’s also one of the only parts of the island where you can catch both sunrise and sunset! The hotel features two restaurants and we made a point to have dinner at both. The Jetty offer relaxed vibes and a grill. While Market Kitchen served up the better meals in a more polished atmosphere. The staff at both restaurants impressed us with their attentiveness, smiles, and welcoming attitude. We also loved being able to get in a workout with the fitness center after eating too much of the delicious food on Zanzibar. 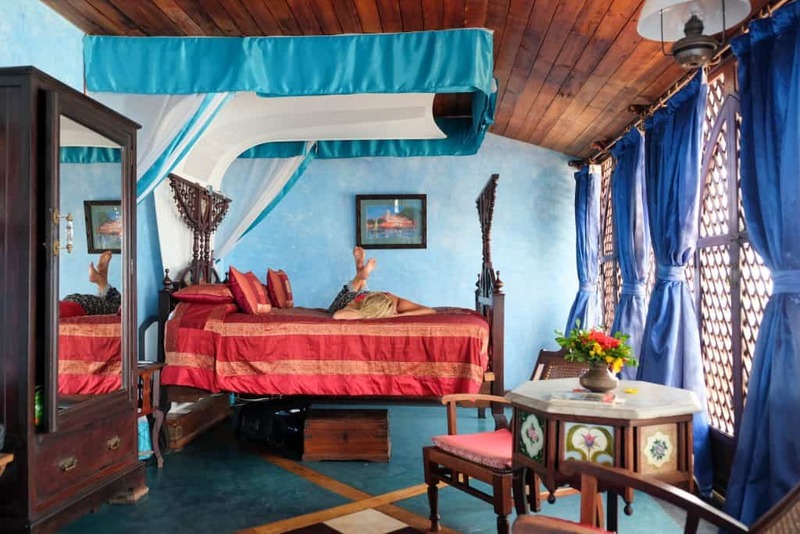 The Essque rounds our list of the best hotels in Zanzibar making one drool-worthy list. If you asked us to pick one of the above it would be tough, so maybe just try them all like us! 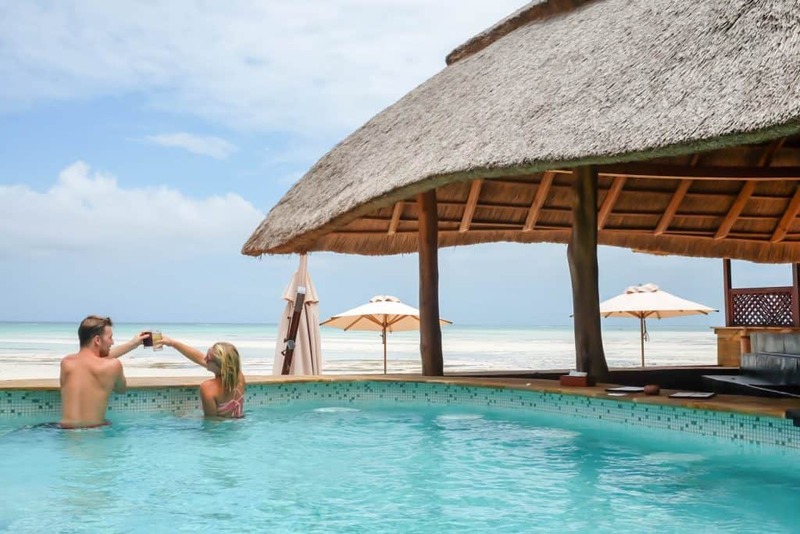 Highlights of Essque Zalu Zanzibar: The intimate and picturesque jetty, well-equipped fitness center, and extremely well cared for gardens and grounds. Flip Flops: Flip-flops are never a bad idea at beach destinations and should be on every traveler’s Zanzibar packing list. My favorite brand is Rainbow Sandals as they last forever and are super comfortable once the leather forms to your foot. Bathing Suit: Obviously, you’re going to need a bathing suit for your stay at one of the best hotels in Zanzibar. Sun hat: You aren’t going to get Instagram famous in Zanzibar without a big floppy sunhat! It does serve a purpose too, as Zanzibar has some intense UV exposure. Dry bag: Dry bags are great if you’re going to spend time at the beach or find yourself out on a boat. 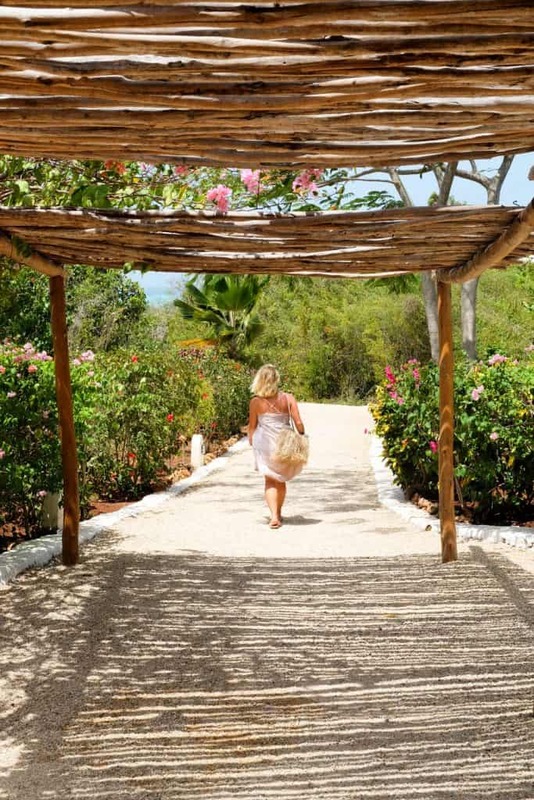 Beach cover-up: A beach cover-up or sarong is essential when traveling to Zanzibar. Most of my cover-ups come from Pitusa. Waterbottle: The tap water in Zanzibar is not drinkable. Make sure to bring a travel waterbottle. Camera Gear: Chances are you’ll want a camera for your trip to Zanzibar. Our favorite pocket-sized point and shoot camera for quick trips are the Sony RX100V. It takes fantastic photos and video and is the size of your palm. Check out our other travel cameras here. Sunglasses: Make sure to protect your eyes from the sun on your Zanzibar trip. I personally can’t even go outside without sunglasses. We just invested in our first pair of high-quality sunglasses and love them. Smith Optics are well known in the optical field and their ChromaPop sunglasses have color-enhancing lenses. Guide Book: It’s always nice to have a real live book on hand. We like Lonely Planet! See our full beach packing list here. I enjoyed reading your blog on Africa. My husband and I were at a fund raising event. We bid on an African safari to the Zulu Nyala private game preserve in South Maputaland. It includes 6 nights at the Heritage Hotel/Lodge. Do you know anything about this area or about the hotel? I’ve tried to research it on the internet, but get conflicting results. I’d appreciate any comments that you have about this place.